Researchers and government agencies pay too little attention to pathological gambling. This must change. 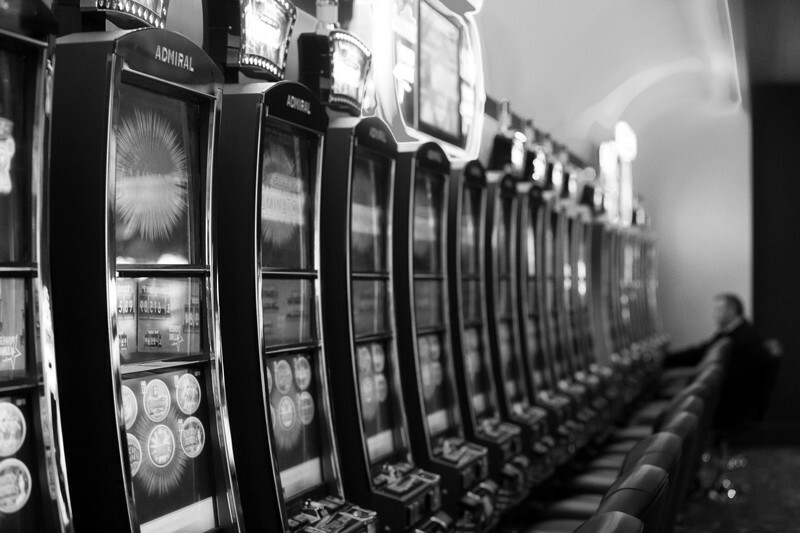 Pathological gambling is thought to affect as many people as autism and schizophrenia. It disrupts employment, relationships and health, and places an enormous burden on the state. It is the only behavioural addiction formally recognized by the American Psychiatric Association, appearing in the fifth edition of the organization’s Diagnostic and Statistical Manual of Mental Disorders (DSM-5) in 2013. And what is the contribution of science to this pressing debate? A review last year of all research literature looked for well-designed studies conducted in real gambling environments with real gamblers (R. Ladouceur et al. Addiction Res. Theory 25, 225–235; 2017). It found just 29. In total. No one is calling for a prohibition on gambling, a legitimate leisure pursuit. Most people can enjoy the occasional flutter without harm. But how can research help the unfortunate minority who cross to gambling’s dark side? Or provide enough evidence for society to control an industry that gains more from compulsive than from occasional gambling? The first essential step is to look beyond the glitz. The media lapped up a story in 2014 of how Saudi heiress Nora Al-Daher, also the wife of an Omani government minister, tried to sue the Ritz casino in London for allowing her to run up a £2-million (US$2.8-million) gambling debt. She argued that the casino took advantage of her addiction, raising her agreed cheque limit during a high-rolling binge when she couldn’t have been held responsible for her actions. The judge wasn’t impressed, and ruled against her. The court of public opinion had little sympathy, too. For every Saudi heiress, there are millions of desperate people who slip from normal behaviour to abuse and addiction. They need help — not pity or scorn — and a solid evidence base to build a system to protect them. The world of gambling research is too small and underfunded. The paucity of data available to inform policymakers and the medical profession is shocking. Much more needs to be understood about the elements of diverse online and offline gambling activities — for example, display strategies on screens that mislead users on the chances of winning — and the epidemiology of who is most vulnerable and so most likely to be seduced by the lure of addiction. Many countries have adopted a formal, non-binding Responsible Gambling Strategy — based on the original 2004 Reno Model in the United States, which developed voluntary guidelines for the industry — to address problematic gambling. These strategies aim mostly to devise actions to protect those who are vulnerable to gambling; these include, for instance, advance agreements with casinos to limit the size of bets for people known to have an addiction, or to ban them from a gambling establishment for a fixed period. There is little empirical evidence as to whether such strategies work. In some countries, the strategies have also spawned the creation of funds to support research, such as the US National Center for Responsible Gaming (NCRG), which has distributed $27 million to researchers since it was created in 1996. The NCRG has processes for handling bottom-up research applications according to fair, peer-reviewed procedures, but because it is financed by the industry — casino companies, equipment manufacturers and the like — some fear that research agendas could be distorted. Some social scientists worry that distortion is already visible because so much of the funding goes to support research into the behaviour of individuals who gamble, as opposed to the role of industry and society. They argue that this inappropriately shifts responsibility from the industry — which wants to minimize regulation — to individuals. They fear a parallel with how the tobacco industry managed to distort research into the dangers of smoking. According to a 2014 report from ethnologist Rebecca Cassidy of Goldsmiths, University of London, many researchers feel uncomfortable accepting support from the NCRG’s UK equivalent, GambleAware, for this reason (R. Cassidy Int. Gambl. Stud. 14, 345–353; 2014). To be fair, the NCRG does fund some research into public-health issues around gambling. But there is an unquestionable need for vigilance. It isn’t appropriate for research related to a major social and public-health problem to be so heavily dependent on the very industry that enables it. Instead, governments need to design and support their own research programmes to ensure that the appropriate range of reliable evidence is generated to inform policymaking and health organizations. Which agency should take the lead? Gambling doesn’t attack any particular organ in the body in the way that smoking attacks lungs, and alcohol the liver. So government health-research agencies that have experience tackling substance abuse — for example, the National Institute on Drug Abuse and the National Institute on Alcohol Abuse and Alcoholism in the United States — have not been particularly involved. Problem gambling does cause health problems, however, not only through self-neglect, but perhaps also as a result of its extraordinarily high level of comorbidity with other psychiatric conditions; psychiatrists have started to investigate whether gambling in itself could precipitate a psychotic incident in someone who was previously in a subclinical state. Irrespective of possible blurring of responsibilities, each government needs to make a call and assign the problem of pathological gambling to an appropriate agency or ministry. And more scientists must respond to the very real need to assess and understand the implications, in the same way as those before them have done so admirably on the abuse of alcohol, tobacco and drugs. Is good luck at gambling all in the genes?